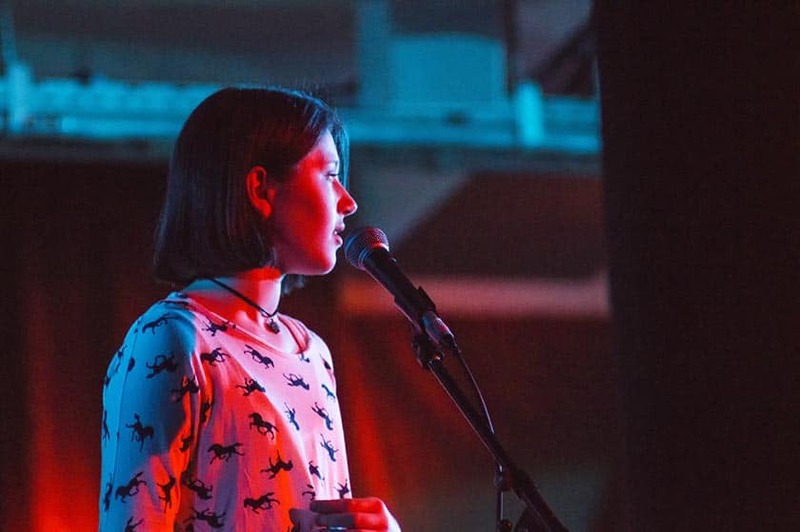 What does stage fright feel like? Imagine yourself backstage, about to give a performance that could make or break your singing career. How do you feel? Is your mouth dry? Do you feel light-headed? Are your hands almost dripping with sweat? Is your mind racing as you picture yourself losing your voice, or feeling your throat becoming so tight that you can barely even speak, never mind sing? Even minor tensions can be difficult to manage sometimes, so what is going on in your mind? Are you telling yourself people won’t like you? Are you afraid you are going to embarrass yourself? Scared you will not remember your words or not reach that note. These are common symptoms of stage fright or performance anxiety. Coping with stage nerves is a part of every performer’s life, regardless of experience. Countless iconic artists, including Adele, Sia and Lorde, are among those affected. 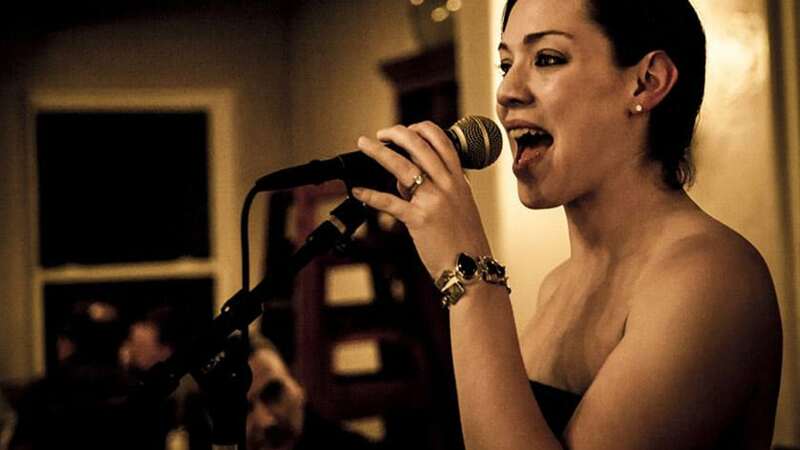 Before you learn how to overcome stage fright as a singer, it is interesting to know a little about what stage fright is and why it exists. Stage fright means a person feels nervous and scared, their brain identifies the on-stage performance as a high-stakes situation and a potential threat which triggers the fight or flight response. Their amygdala is hijacked! The adrenal glands react by pumping adrenaline and noradrenaline around your body, decreasing the flow of oxygen around the stomach and increasing its delivery to your muscles. When hormone levels are sufficiently high, physical symptoms begin to occur. In the worst-case scenario, blood pressure may drop so rapidly that causes the person to pass out on the spot. This, seemingly unhelpful, chemical reaction is responsible for the feeling you may know as stage fright or performance anxiety. It must be said that the purpose of the fight, flight or freeze response is when there is a real danger, all that extra adrenalin makes us alert to everything wanting to run or hide. Being scared to go on stage is essentially a huge overreaction to what is really a safe situation. There is no actual danger, so the reaction is out of proportion with the factual situation of performing on stage. Even with famous artists the worse incidents that could take place occur, like forgetting your words or not reaching that all-important note, these things happen, and it is worth having a little word with yourself reminding yourself that these fears are silly really, you are perfectly safe and in no real danger. Telling yourself all the reasons you can think of why there is no actual reason to feel fear on stage will remind yourself that you want to provide a confident, fun, well-rehearsed and polished performance, where you are focused only on the moment and thoroughly enjoying every exciting second of it. Not surprisingly research shows there are a number of influencing factors. It could be they have learned to be anxious and prone to hypersensitivity or are introverted, have a social phobia, neurotic or possibly narcissistic. Also, the anxiety might be caused by insufficient preparation or bad memories of the first time they played by memory. Maybe the sufferer is a perfectionist scared to make a mistake. Perhaps they have ineffective coping strategies or it is the size of the audience that bugs them. Maybe they lack technique or the working conditions are not good. Another influencing factor is upbringing, expectations from parents, teachers and authority figures that have put pressure on as a method to motivate in the past. If a person has been in a situation where they received frequent criticism or spent time in a learning environment that pointed out mistakes and ignored the positives it encourages avoidance of taking risks so performing publicly could easily become challenging. If any of these factors sounds like you, please feel free to contact us. Research among professional musicians shows that 60% of the participating musicians suffer from stage fright, among whom 20% to a serious degree which hinders them in their professional career (Van Kemenade, Van Son & Van Heesch, 1998; Fehm, L. & Schmidt, K., 2006; see also Hart, 2007, chapter 4.2). Stage fright occurs at all levels, among beginners as well as conservatoire students and top musicians. Women appear to be somewhat more susceptible to stage fright than men, though it may also be that women are more open about it (Wilson, 1997). Generally, stage fright does not just go away; and a focused approach does lead to a reduction of the problem. Stage fright is not just an inconvenient side effect of the profession; it can break or seriously hinder a musician’s career. Also, it is a hazard for the physical and mental wellbeing of the people it concerns (Salmon & Meyer, 1992). Implementation research HeartMath training programme with students of the Prince Claus Conservatoire PETER MAK Research Group Lifelong Learning in Music & The Arts 2010. Is there a cure for stage fright? While you may look to overcome stage fright, it is actually an important process. As mentioned above, stage fright is your body preparing for “fight or flight” so stage fright is nerves, nerves are controllable and when you learn how to manage your nerves this way you can tune in to the exact correct level of excitement that produces the best performances. Everybody has had a situation where they feel they are doing their best performance. It might be in front of your friends or family or even alone. It does not matter where it is you just need to know when it happens and then utilise that feeling as a resource on stage to peak your performance. So, the question is not how to cure performance anxiety but how to effectively transform it and use your nervous system to your own advantage. While persistent, paralysing stage fright is a form of social phobia that is generally caused by social conditioning, it is often argued that the greater the fear, the more likely you are to deliver an unforgettable performance. Although when we say cure what would be more accurate is there are methods of transforming these feelings into something far more positive and exciting once you realise you can wilfully control your nerves and change the state of your own mind and feelings. 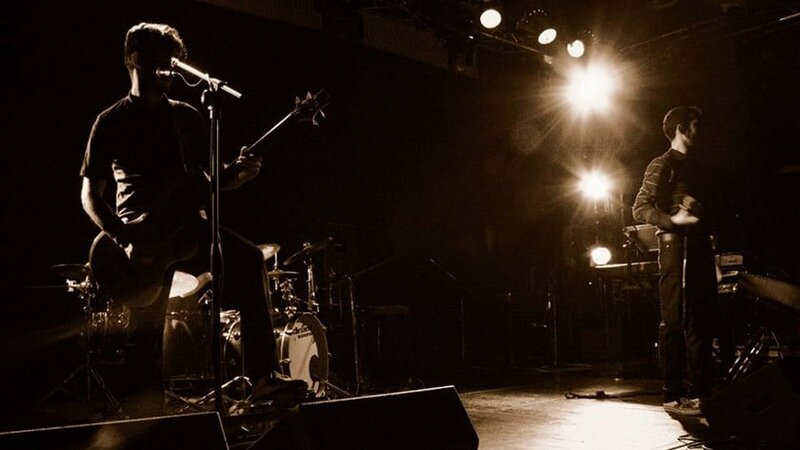 The feeling of complete control on stage is known among musicians as entering the zone, a phenomenon explored by famous psychologist, Mihaly Csikszentmihalyi. 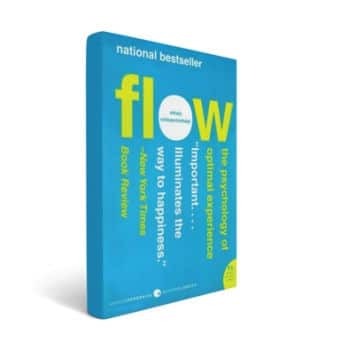 In his bestselling book: Flow: The Psychology of Optimal Experience, the scientist explains how the perfect correlation between skill and challenge results in a state of optimal performance — or flow. “The ego falls away. Time flies. Every action, movement, and thought follows inevitably from the previous one… Your whole being is involved, and you’re using your skills to the utmost.” Csikszentmihalyi explains in an interview with Wired. There are plenty of methods for getting in the zone, however, the key is ‘perfect correlation between skill and challenge’. So the first vital clue to overcoming stage nerves is to be confident in your performance, then you have gained the skill part of the ‘flow’ formula. The more practised you are the more confident you will feel. Here’s a great article about getting in the zone we found for you on Headspace. As mentioned, getting in the zone depends as much on the challenge ahead as it does on your skill level. When it comes to performing or auditioning, there are two things you must master. The first one is obvious: you need to train your voice. The second is improving as a performer: one who doesn’t crack under pressure but, instead, uses it to fuel the performance. To prevent nerves from getting in the way of your act, consider working with a voice coach. Understanding the technical side of singing is another way of gaining confidence and controlling the voice even in a stressful situation. And of course, practice! practice! practice! until you are happy with your performance and know what you are doing inside out. That way you know what you are capable of which will fill you with confidence and is a big part of managing your performance nerves. Now that you know performance anxiety is a good thing, you need to learn how to harness it. There are many supposed cures and while some might swear by chamomile tea or bananas, it’s possible that these are only placebos. What do you think? Leave your thoughts in the comments below. While best practices of eating and drinking [prior to going on stage] may not solve your performance anxiety directly, some foods and beverages may improve the quality of your vocals — which, in turn, could have a knock-on effect on your confidence. 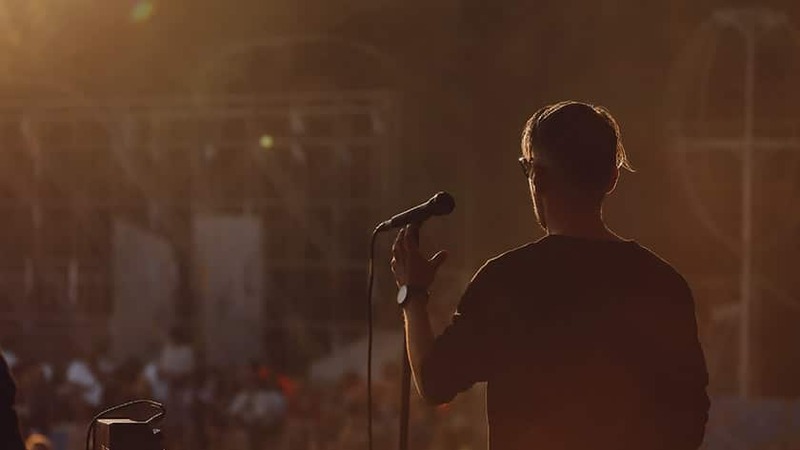 Believe it or not, merely acknowledging that stage fright can be transformed into a good thing is a step towards enhancing your stage performance. Thinking of the upcoming audition as an exciting challenge rather than a threat increases your chances of enjoying yourself on stage, and when you enjoy yourself on stage the audience will feel it and want to support you more. Recognising the physical symptoms of anxiety as a prerequisite to entering the zone is called reappraisal, check yourself, breathe deep, and say “ahhhh…” slowly and out loud to yourself a few times on the out breath and let your awareness drop to just below your belly button and all the way down to your feet. Feel your feet on the floor and feel an imaginary thread on the top of your head pulling you up. Legs heavy and grounded, head open and light, practice that feeling at home. It is an old martial art technique for keeping grounded. To imitate a high-pressure situation, surgeons use virtual reality to learn their life-saving skills. Visualisation is a similar but more accessible strategy, commonly used in professional sport. Visualisation helps high-level athletes maximise their performance at high-stakes events such as the Olympics. They don’t only imagine how they will move but also how they will react to the roar of the crowd, the bright lights, and countless cameras pointed in their direction. Creative visualisation is used by business-people and star performers around the world. Can creative visualisation show you how to be less nervous when singing? Well, it seems it can do more than that. Our research is showing us that creative visualisation not only can calm us down, only we can train ourselves to perform better the more we imagine beforehand how we want to feel when we perform. The bigger the brighter the more that is added from our senses, the more likely we are going to perform well because we can imagine that we can. Do this often, telling ourselves all the right things to motivate us, picturing ourselves feeling how we would feel if we were performing at our most comfortable and enjoyable and those feelings will go out on stage with you when you perform. The act of creatively thinking and imagining beforehand is what the most successful and confident performers do quite naturally. This type of thinking is typical of high performers that know how to get in the zone. There is no reason why you should not use this method to enhance your performance. While stage anxiety is basically learned behaviour generally absorbed due to lack of strong extrovert role models when young as we learned earlier there can be many reasons why this lack of confidence exists and the behaviour can be imprinted at a preverbal stage of development through negative experiences; therefore, psychological exercises can be massively effective in dealing with the problem. It is important to recognise that not all anxiety is equal and different strategies are suited to different people. In an upcoming series of articles, you’ll learn how to use proper nutrition, power poses, breathing, reappraisal, journaling and creative visualisation to conquer stage fright and use it to your advantage. With these tools, you will have everything you need to deliver the impressive performance that you’ve worked so hard for. Have you experienced stage fright? What techniques have you used to manage or overcome it? Please share in the comments below. Very interesting. It’s curious that if we are able to perceive this stimulus as both frightening and exciting, why we often interpret this as fear. Do you think that this is taught to us growing up, that this is a protective mechanism built within us or something else? My training facilitates the process of change from fearful thinking to empowered thinking. 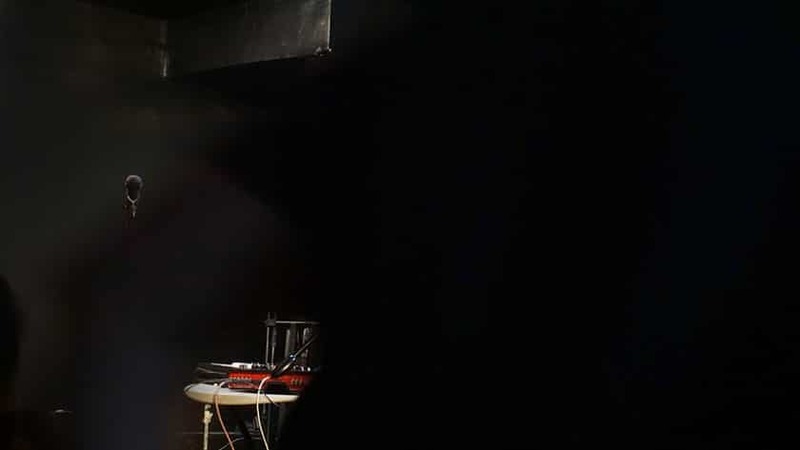 Great article and useful tips for everyone suffering from stage fright! I have only tried breathing before, which on its own didn’t really help enough. I obviously need to add some extra techniques from mentioned above and try again! Thank you for your comments. Hopefully you will find these tips useful in practice and overcome your stage fright. It would be great to know how you get on.